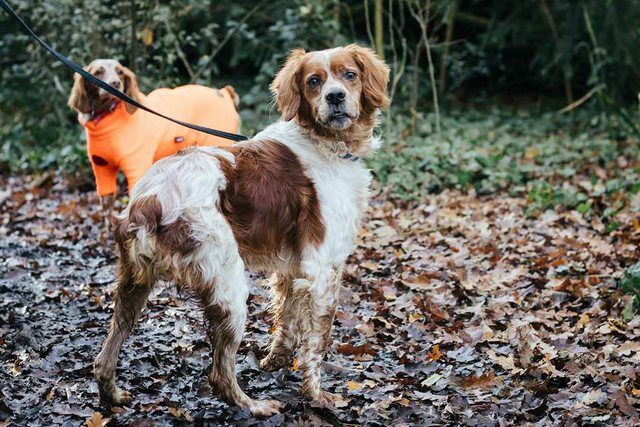 Tor is an 8 year old male Brittany Spaniel, in foster in Kent. 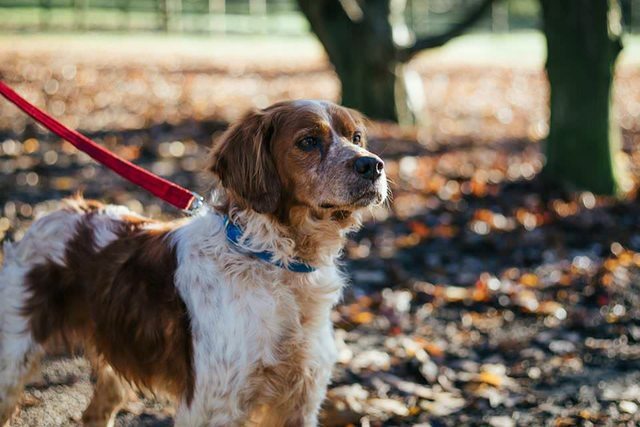 Tor is an 8 year old Brittany, he has come over from Spain and is now in foster in Kent. He was left at a Spanish shelter by his owner. 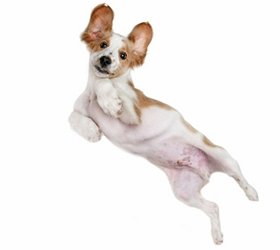 He’s a typical active, energetic Brittany. He loves humans and is super affectionate and craves human company. He is great with kids too. Tor is great with both male and female dogs and likes to play. He loves food. He has wonky front legs, the front left more than the right. The vet says that he’s either had some kind of injury left to heal itself up or he was born like that, nothing needs to be done. It doesn’t stop him from charging around the place. The poor thing was in the Spanish shelter for a few months and struggled there, he couldn’t get used to life behind bars. 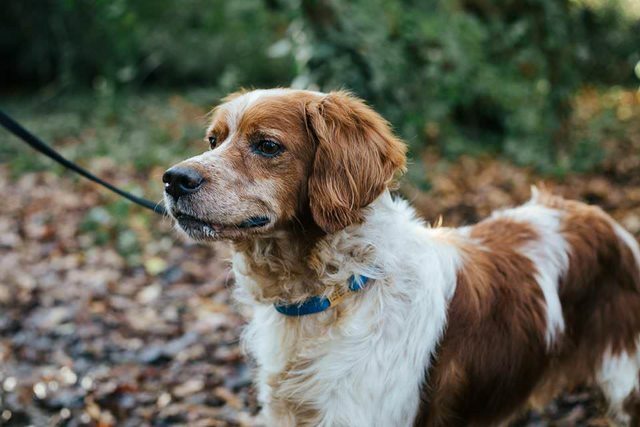 He’s now in foster in Kent with another female Brittany and a male Springer and is settling in well. When he had his first run around the garden he just looked delighted. He’s incredibly affectionate, follows them around a lot. He’s very interested in birds when out and about. He is a super dog and will need recall training, and lots of exercise, companionship and love.